Are you new to SEO (search engine optimization) and don’t really know where to start? Don’t worry, even with basic SEO tactics you can improve your ranking significantly. We’ve got you covered with these top basic SEO tips for beginners. Let’s quickly cover this point. SEO stands for search engine optimization and is supposed to ensure that your website and content have the best chances to rank high on the search engine result page (SERP). Simply said, it means that you want to optimize your website and content in a way so that search engines such as Google can understand what your website and content is about so that it can rank them high for specific keywords. Why you need this? Well, do you ever go further than the second or third page on Google’s result page? No? That’s your answer right there. The higher your website and content ranks on Google, the more people will click on it. Accordingly, the more sales or conversions you will likely get. Sounds great, doesn’t it? According to SEO ranking factors for 2017, content is still a very important factor in SEO ranking next to other factors like backlinks and RankBrain. But, ultimately it is content in form of blog posts or videos that attracts users and customers in the first step of the acquisition funnel. From an SEO point of view longer content is more powerful as it includes more keywords and also provides more information that is beneficial to the user. Neil Patel mentioned that content should be longer than 2,000 words while at the same time being of high quality. The quality of your content is very important because users look for unique and interesting content that they find worth sharing. So, if you want users to actually be interested in your content, it has to be of high-quality. Longer blog posts also help with dwell time. Dwell time is the amount of time that passes before a user returns back to the search engine results page. Longer content that is engaging and high in quality will make people stay longer on your website and read more. At the same time, a longer dwell time is very beneficial for your ranking because it is a sign for Google that people enjoy your content. Next to longer posts, you also want to be aware that Google loves fresh content. This is not only because fresh content is more relevant to users, but it also let’s Google know that you are still active. This being said, we all know how difficult it is to constantly produce new high-quality content. So, instead of coming up with new super awesome high-quality posts all the time, you can make use of your already existing content. One easy tip is that you can update one of your popular but older posts. Simply add some current and relevant information and re-publish the post with the current date. A perfect opportunity for this basic SEO technique are posts that have a year in their title. A good example would be “Best SEO Tips 2018”. Blog posts like that can be updated super easily by adding some relevant information and changing the title to “Best SEO Tips 2019”. Don’t forget to re-publish the post with a current date. There are many other ways to repurpose your existing content. Find out more about easy ways to reach your content marketing goals without generating new content. Using the right keywords is essential! While you need to use the right keywords that properly define what your content is about, you also need to consider what your users and potential customers are looking for. The keywords you want to use should be relevant to your content’s topic so that search engines can index your website correctly. You probably don’t want to confuse search engines by focusing on keywords that are completely irrelevant to your actual products or services, or the main topic of your blog. However, you also want to focus on keywords that your customers are actually searching for. You might rank number one for a specific keyword, but if no one is searching for that you will end up with zero people visiting your site. It is like selling a product that no one asked for and no one actually wants. There are several keyword tools out there that can help you to find out what your users and customers are searching for. Just to name a few, you can use our own keyword tool Twinword Ideas which has several smart filters that help you to find the best keywords super fast, or, you can check out tools such as Ubersuggest or Kwfinder. What you should look for are key indicators such as search volume (average monthly searches) and competition scores that show how easy or difficult it is to rank for a specific keyword. Of course, keep in mind that the keywords need to be relevant to your website, product or service. Additionally, you can use long-tail keywords and LSI keywords to improve your site’s ranking and to give more information to search engines so that they can figure out what your content is about. Long-tail keywords are terms that are more specific. If you use more specific keywords in your content or your website you increase the likelihood to receive more qualified visitors to your site. LSI keywords (latent semantic indexing) are keywords that are related to your primary keyword. They are not synonyms but homonyms (similar in meaning), and will help search engines to understand what your content is about. Long-tail keywords are keywords like “best hiking backpack for women”. They usually contain four or more words that clearly specify what the consumer is looking for and/or their intent. As mentioned, if your keywords are very specific you might get less traffic but more visitors that are looking exactly for what you offer and are therefore more likely to purchase. Quality over quantity, so to say. Also, it is usually easier to rank for very specific keywords as less websites are targeting them. So, why not give it a try? LSI stands for latent semantic indexing and simply means keywords that are related to the topic that your page is about. Including LSI keywords in your content will help Google and other search engines better understand your relevance to a topic. You want to include LSI keywords because more and more search engines are looking for more of a topic match instead of a keyword match when returning search results. And how they do that is by looking for LSI keywords. The idea is that when writing about a specific topic, you would naturally include related words. Say for example, if you have a SEO consulting agency you would naturally include the following related words on your website. These keywords are relevant and helpful for Google to extract information. With this information, search engines can make sure that your content does actually talk about the topic that you want to rank for. Even though you technically would be using LSI keywords already just by writing your content, it doesn’t hurt to see if you might have missed a few good ones. A good keyword tool will be able to help you find both long-tail keywords and LSI keywords. You already have long and high-quality content, and you are a pro at including keywords? Then what about your title, meta, heading and sub-heading tags? If you create a title without considering your keywords, you are missing out on ranking opportunities. The title tag should contain keywords that are relevant to the webpage and your content. This tells search engines what the website or page is about and helps it index your site according to those keywords. Google determines the content of pages from the title tag, so make sure to accurately describe your content. 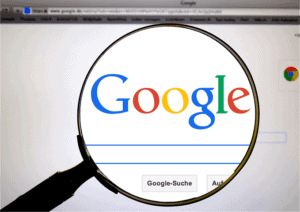 Recall your own search behavior on Google. As soon as you hit “enter” or “search”, you probably skim through the first three results taking a closer look at titles. The more targeted and thrilling the title is, the higher the chances for a click. Use modifiers in your title. Modifiers are descriptive words that are used with primary keywords. This let’s search engines know to return the most relevant webpages that contain related content. Some examples of modifiers are titles that start with “how to”, “solutions”, “best”, “guide to”, “of year” or “review of”. You can use a keyword tool that has a pattern filter to quickly get keyword suggestions that follow those patterns. Keep in mind to optimize your title to resonate with what users are looking for, rather than stuffing it with keywords! You can use tools to help you brainstorm the most appealing titles. A meta description is the short paragraph of text (snippet of information) under the URL which is used as a preview in the search results. The meta description should be placed in the <head> tag of your page’s HTML, and should typically be up to 160 characters long. It is important to have a good meta description because it is what the users see when they decide whether or not to click the link to your site. Google may, or may not decide to use your description and may even alter it. Nonetheless, this is one of the places you want to pay attention to as Google will use it when trying to understand what your page is about. You also want to include your keywords in the meta description to make it appealing to actual readers that are skimming the search engine result pages (SERP). Headings and sub headings are <h1>, <h2>, and <h3> html tags. These are the section titles or that users see on the page. There should only be one <h1> tag per web page, and this heading should contain the main keyword your content is focusing on. Google checks these tags the same way as it checks title tags, so be ready to optimize this part of your page. Often times, content management systems (CMS) like WordPress automatically include an <h1> tag for you with the title of the page or article. In this case, there is no need to include another one. The sub headings <h2> and <h3> should also include your target keywords.However, keep in mind to write always for the reader and use headings that help your visitors to navigate your page. While most users will pay little attention to your URLs, they are important for your basic SEO. Best practice is to keep your URLs as simple as possible. Google wants you to have simple and readable URLs to provide a logical URL structure. This pretty much just means that instead of numbers you should use text in your URLs, and that the URL should describe what the content is about while being as short as possible. Yes, it is as easy as that. Just try to be logical and user-friendly with your URLs. Next to that, you can use your URLs as a place to put your main keywords. Of course, no keyword stuffing allowed! Remember, as short as possible. However, putting your main keyword into your URL should be no problem. But, wait a second! Don’t start changing all of your URLs now. Unless you think your current URLs have a negative impact on your site, it is better to not change URLs as it can be confusing for Google as well as for your users. Therefore, it is probably better to start optimizing your URLs for your new content. However, if you have to change your current URLs to provide a better URL structure, don’t forget to do a proper 301 (permanent) redirect. Another very important part of basic SEO are backlinks. A backlink is when one website mentions another website by linking to it. While backlinks are a major deciding factor that help your website increase its rank, those backlinks should come from high quality websites that are related to your content’s topic. For example, if your blog is about SEO marketing you want to get backlinks from marketing related sites. Also, the quality or rather the domain ranking of the website that is giving you the backlink indicates how powerful that backlink is for you. Search engines think that the more relevant and high-quality backlinks you have, the more useful your site must be for users. Basically, Google sees backlinks as users voting that your content is helpful. The higher the domain ranking of a website, the more power does their backlink or “vote” have because they have established themselves as reliable sources. High-quality backlinks should be one of your main basic SEO priorities because it can easily skyrocket your ranking. With backlink tools you can easily get started and hunt down some of those precious backlinks. Read more about how backlinks affect your SEO ranking. Outbound links are links on your website that point to other domains. An example of an outbound link is this example website, which you can click. When you link to other domains in your content, it helps search engines understand what your page is about. 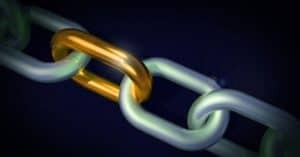 Having more related and high-quality outbound links on your website can increase your rank by having your site be recognized as trustworthy and of high quality by search engines. Avoid too many outbound links. 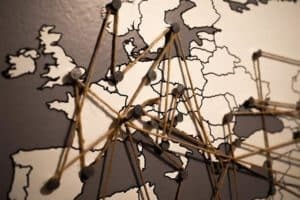 When you include links to other sites in your blog article, you can also try to contact those sites to let them know that you gave them a backlink. In doing so, they may find ways to include a link to your site on their page as well. Linking to other websites can be beneficial to both, you and your competitor. Does linking to other sites help SEO? When you link to other relevant and high-quality pages it shows Google that your content is valuable and useful for users. Hence, linking to other sites is helpful for SEO as long as you are linking to high-quality and relevant pages. Also, the owners of those webpages you link to might check out your website and thereby generate some additional traffic for your content. As mentioned, they might even return the favor and give you a backlink in the future. You never know! Linking to other high-quality pages certainly won’t hurt your SEO ranking as long as you don’t overdo it. While it is important to receive backlinks and to link to other people, don’t forget to link to yourself. Internal links are links that go from one webpage to another within the same domain. These links are especially useful because they allow users to navigate through a site. An example of an internal link would be linking to our own website, blog article, or our own keyword tool Twinword Ideas (see what we did there?). Internal links can help you promote your own content and your other products or services. So, don’t pass on this opportunity! Images are an essential factor for content optimization which is why we decided to include image optimization in this basic SEO guide. We all know that visual materials such as pictures are quicker and easier to process. They simply are more appealing than endless paragraphs of text. While images are nice for the reader of your blog, search engines can have trouble understanding images. To make it easier for search engines to index your images correctly, you can use alt text. The alt text is used within HTML code and describes what the image shows. Every image should have a detailed and accurate description in their alt text. Next to the benefits for search engines, alt texts are also important for the blind or visually challenged as they require a special computer or software that reads text aloud. In addition, if the image is not seen or loaded your alt text will be shown and lets the reader know what the picture is supposed to show. HTML code that includes alt text for an image should look like this: <img src=”photos.png” alt=”polaroid pictures”>. 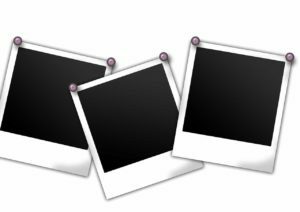 In this example, the alt text says, “polaroid pictures”. While it is good to write your alt texts very descriptive, be careful to only include truthful descriptions and to avoid keyword stuffing. Adobe Flash is an app within a web page that allows multimedia streaming and user interaction. Having Flash on your webpage can be a good and a bad thing. However, if your page is made up mostly of Flash, the page will run slower than normal and it will take time to load. Also, Flash isn’t accessible on most mobiles which neither the reader, nor Google will be happy about. Jakob Nielsen said that about 99% of websites that used Flash had a lower usability and a major hindrance to good design. So, the best solution is to simply avoid using flash. There are many websites, tools and plugins that can check if you are using Flash or not. 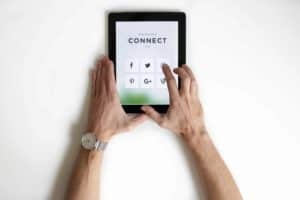 As you probably know, social media accounts can be a powerful tool for your website, and having a Facebook, Twitter, Linkedin and an Instagram account is one of the basics of promoting your website. While social media does not directly contribute to your ranking or to SEO, it will bring you more exposure and traffic to your site which indirectly improves your ranking on Google. In other words, while social media signals are not a direct ranking factor on Google, it certainly impacts the ranking indirectly. Therefore, don’t neglect your social media when doing basic SEO. It is best to optimize your social media posts and to distribute your content among your channels. With some easy tips and tricks you can leverage the full power of your social media accounts to the max. For example, you can customize your shareable links, and add a Twitter card to your website to promote your products or services. There are different types of cards, but they all allow you to go over the 140-character limit and attach media screenshots when you share a post. In addition, you can see how your Twitter card looks by searching up your URL on the card validator tool. Also, don’t forget those keywords and hashtags! We already talked about keywords for your titles, meta description, content, and, and, and. But don’t make the mistake to neglect keywords in your social media content and hashtags. Same rules apply, they should be relevant to your content and its best when they have a high search volume that indicates that people are actually searching for those keywords. A keyword tool can help you find that search data. However, beware of keyword stuffing and only include keywords where it makes sense and is natural. A tool that can help you keep track of multiple social media accounts is called Hootsuite. Through this tool you can manage different social media accounts on one single platform. Site speed is a very important factor that search engines look for when ranking websites. Google itself said that page loading speed is an SEO ranking signal, and MunchWeb found that 75% of users would not re-visit websites that took longer than 4 seconds to load. 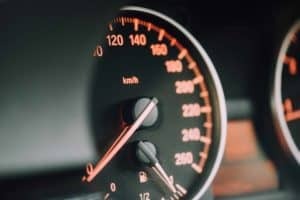 If you want to know your website’s load speed, you can use GTMetrix to check. You can also use Google’s own mobile speed tester. What does it mean to be mobile friendly? It means that the website or webpage is responsive or adaptive to mobile devices. Sometimes if the webpage is not responsive, there will be a separate mobile website (eg. “m.mywebsite.com”). In 2015, Google started penalizing websites that were not mobile friendly. So, don’t waste any time and make your website mobile friendly asap. 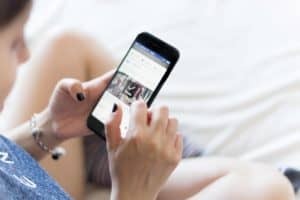 Next to Google’s penalty, it is also important to have a mobile friendly website because nowadays most consumers browse the internet with their phones. If your site is not optimized it will lead to a very bad user experience. Statistics report that in 2018, up to 52% of global website traffic comes from mobile devices. Having a sitemap makes it easier for search engines to find and rank your webpages. Sitemaps let search engines know when changes have been made and pages that they may have missed. It doesn’t hurt to have a sitemap and it also improves your basic SEO. Basically, with a sitemap you can make sure that your pages get updated faster and that Google is able to find all of your pages. Robots.txt files tell search engine web crawlers which pages to include in their index and which not. For example, if you do not want a certain page or image being crawled by a bot, then you can restrict or “disallow” that bot from having access. This keeps test pages and pages not meant for users from being included in search results. 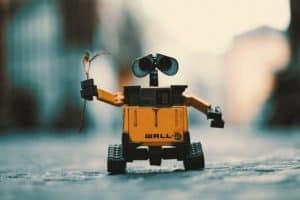 You can make a robots.txt file from scratch but there are many tools out there that can make it for you if you do not have time. Certainly, something you should look into if you have pages that you don’t want Google to consider. In order to know if your basic SEO is helping your website, you should start tracking your data. Google Analytics is a great tool that can analyze and save all your data. It doesn’t only tracks where users come from, but also how they are getting there. This tool also creates custom reports for you when analyzing your data. Google Analytics allows you to measure the results of your webpages via real-time data. Data is shown from different channels like organic search, paid search, referrals, social media and direct traffic. Having Google Analytics will help you make business decisions on where you should invest your resources and it can guide you on your SEO efforts. Last but not least, thinking about your users probably is the most essential basic SEO tactic. As mentioned, there are numerous ways how you can increase traffic to your website: be it referrals, monthly email campaigns, or social shares on Facebook and so on. While SEO is a completely different story with its own strengths and weaknesses, you can already achieve a lot with some basic SEO improvements to your website. However, the main idea of SEO in today’s digital age is putting the user first. Always try to think about what your users are looking for, their wants and their needs. When you write content with the purpose to fulfill a need of your customer or to answer one of the questions they are having, you have the best chances that Google thinks that your content is valuable. So, Just make sure that your content is helpful for your users and customers, and apply the basic SEO tactics we have mentioned so that you have the best chances that Google will rank you high. For more details and tips on how you can check if your site is following these tips, check out our post on How to Audit Your Website for Free. We listed some tools that might be helpful for some of these basic SEO tips there. Furthermore, check out these free site audit tools. Was That A lot Of Information? These are just some of the main topics for starting search engine optimization marketing. Start fixing up your webpage and compare your before and after results. See what works best for you as all pages and industries are different. 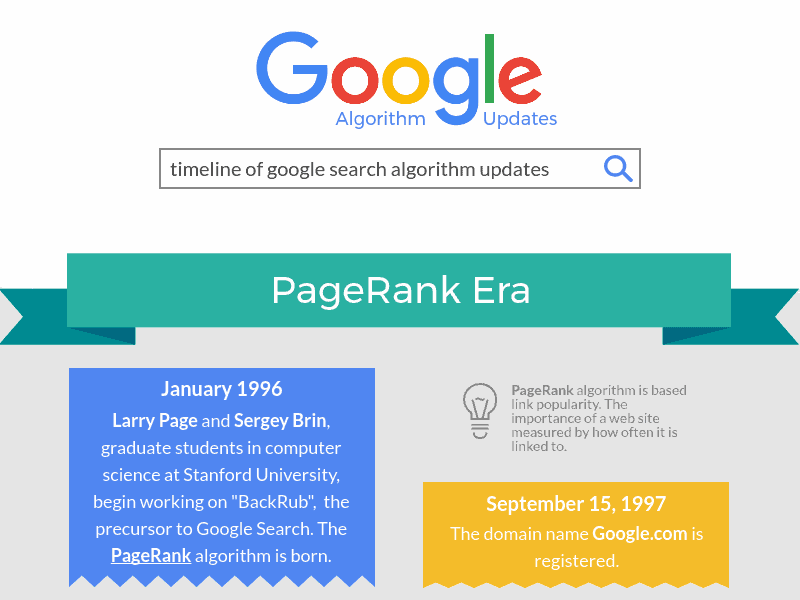 SEO has been around for quite some time and is always evolving, so make sure to keep your webpages updated. Always keep this in mind, Google’s top goal is to provide the best experience for their users. That means the most relevant and high quality webpages are the ones that will rank high. The tips I have listed above are signals that search engines rely on to indicate if a page is worthy and of high quality, and can therefore help your page to rank as high as it deserves. Tell us your experience with your research! If you have any suggestions, questions or recommendations, feel free to leave a comment down below. 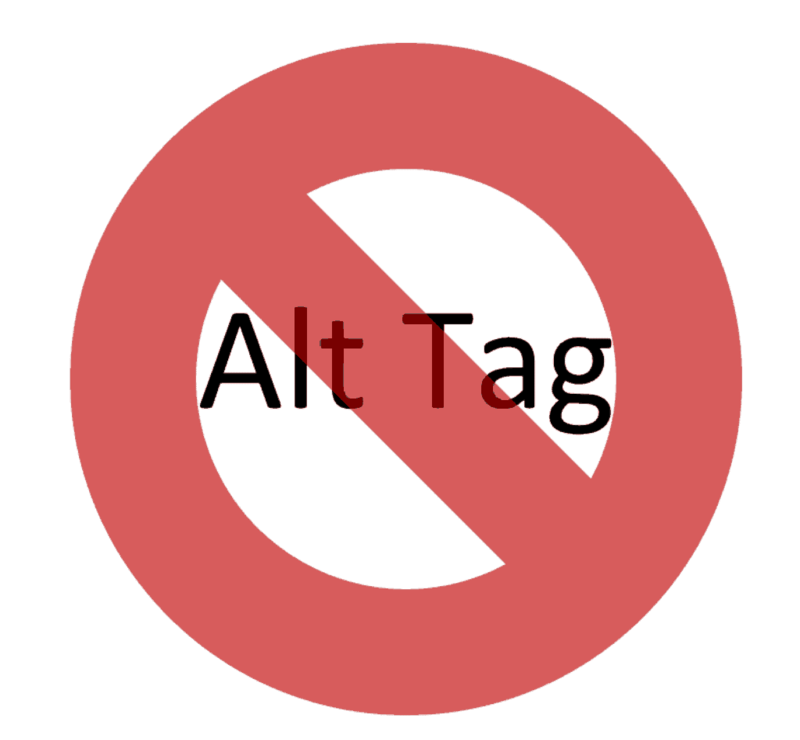 You Don’t Need An Alt Tag! You Need An Alt Attribute.